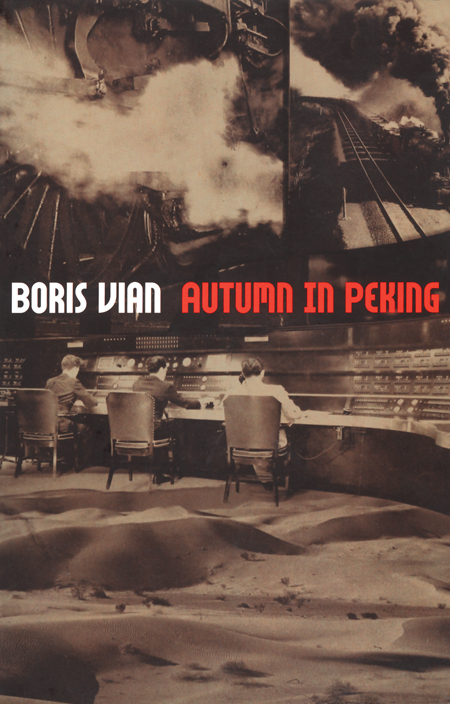 By Boris Vian. Introduction by Marc Lapprand. Translated Paul Knobloch. Autumn in Peking takes place in an imaginary desert called Exopotamie, where a train station and a railway line are under construction. Homes are destroyed to lay the lines, which turn out to lead nowhere. In part a satire on the reconstruction of postwar Paris, Vian’s novel also conjures a darker version of Alice in Wonderland. Beauty and ugliness define the two poles of Vian’s outlook. As a literary writer, the man who moved in the same social orbit as Simone de Beauvoir and Jean-Paul Sartre, Vian wrote absurdist fantasias filled with eccentrics and romantic dreamers. His novels can get dark, but they are full of puns, slapstick, and comedy. Love and weird beauty figure in Autumn in Peking, where a number of people, obsessive types, build a train station and railway tracks in a desert no one visits. PAPERBACK, 8.75 X 5.5 IN. / 284 PGS.